Application: House Hold, Files, etc. 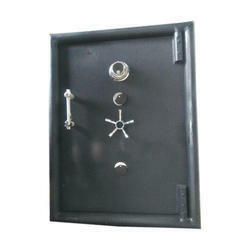 Feature: External Hinges for door opening beyond 180 degree, with double lock. Capacities size 28" to size 72" (it can be customized). - 5 mm thick tough steel plate. - 16 bends round corner - Single joint. - Inner lining of 2mm CRC sheet. Our company has been successful in winning appreciation from the clients as one of the most prominent names in the trading of Steel Security Safe. 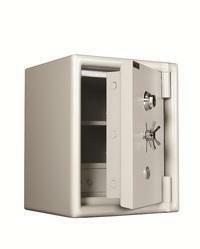 In order to meet excellent quality standards, we are supplying Steel safe 48.